TRIPOLI, (Xinhua) -- Libya's oil minister has defected from Muammar Gaddafi's administration and fled to Tunisia, Al- Jazeera TV reported Tuesday. Rebels fighting to end the 41-year-old rule of Gaddafi also said they had information that Shokri Ghanem, who doubles as the head of the National Oil Corporation, had defected. Ghanem has been in charge of the oil ministry since 2006 and was previously prime minister. His oil ministry is the biggest income generator for the country. 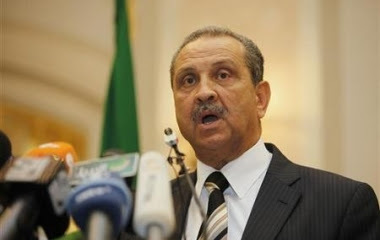 Ghanem earned a bachelor's degree in economics from the University of Libya in 1963 and a doctorate in international economics at the Flecher School of Law and Diplomacy in Boston in 1975. Clashes between Gaddafi's troops and opposition forces in Libya have killed thousands since February and helped push oil prices higher.